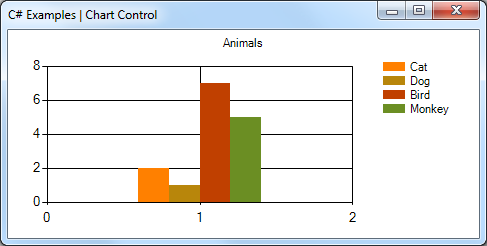 This example shows how to display your data in your Windows Forms program as a bar graph or spline chart. 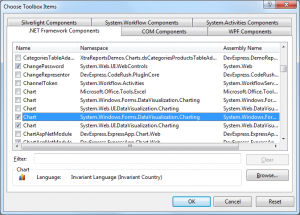 To achieve this, you use Chart class in System.Windows.Forms.DataVisualization.Charting. 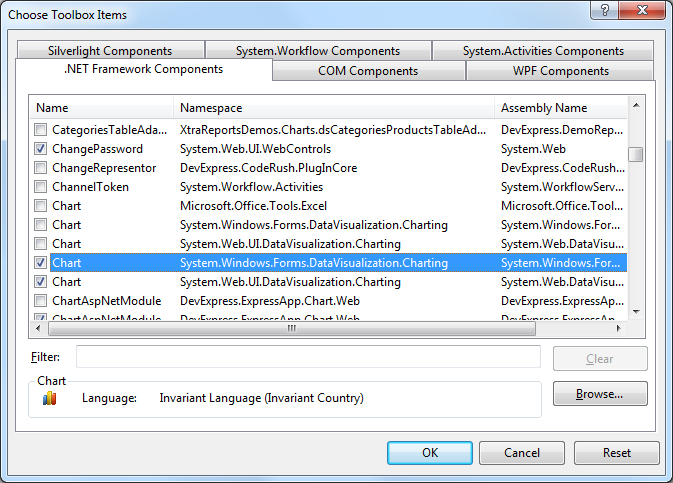 Chart control can be found in Toolbox(.NET Framework 4.0 or newer). Older versions will not have the Chart control available. In design view, open the Toolbox. 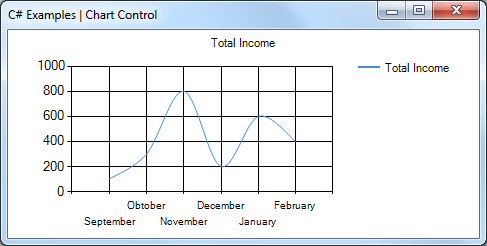 From the Data category, drag a Chart control to the design area. 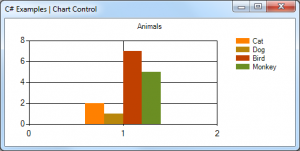 This method shows how to add a bar chart. 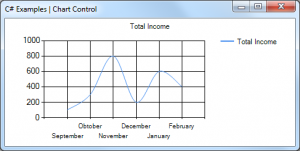 This method shows how to add a spline chart. It was so useful.thanks a lot.It resolved my problem. Extremadamente simple y rápido! Gracias!!! How to do this for pie chart??? What if I’d like to add a spline chart with X and Y values from an excel sheet? How do i pull the data into the code you have here? You can use ChartType property in Series class.